*repost from fb blog* Hot Valentine’s date? Schmooze them with this delicious treat! 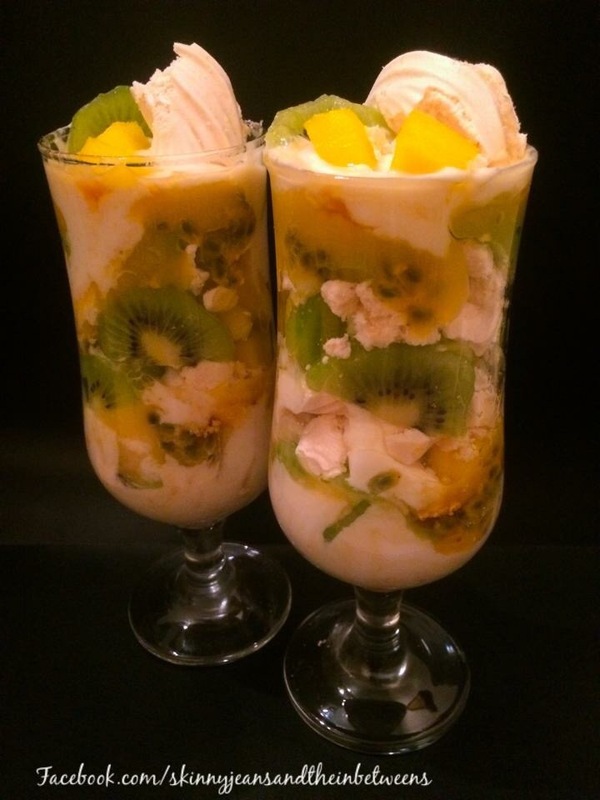 Tropical Mango & Kiwi Eton Mess! I seen a similar recipe in this months weightwatchers magazine & adapted it a bit, made it a wee bit sweeter! This serves 2 at approx 2pps each. Mix 200g 0% Fat Greek Yoghurt with a few drops of Vanilla Extract, Swirl 2tsps Sweet Freedom Syrup lightly through the Yoghurt. Chop 1 Mango & 2 Kiwis and Mix together with flesh of 2 Passionfruit. Layer Yoghurt, Fruit & 2 Meringues broken into pieces into 2 glasses. finish with some Greek Yoghurt Mix, Some Broken Meringue Pieces & Some of the Fruit to decorate (I also used a bit of mango puree left over from yesterdays dessert recipe) Enjoy!